Coub, a rapidly-growing Moscow-based startup that assists in the creation of 10-second looped video clips, is looking to expand globally. 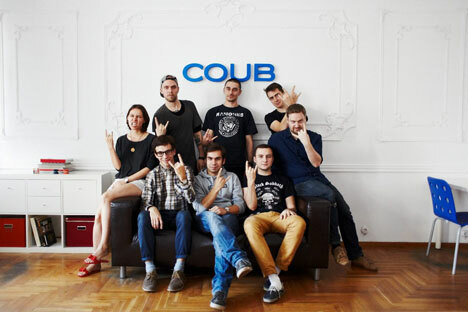 With over 50 million unique visitors to its website every month, Coub, a fledgling Russian startup, is thinking global. In July Vaizra Capital, a venture fund headed by the co-founders of Russia’s Facebook competitor VKontakte, pledged to invest $2.5 million into the company. Now armed with cash and global ambitions, Coub has opened an office in New York to help spread the idea of catchy looped video clips to the wider world. Now as the company looks abroad, it will focus on its mobile apps in iOS and Android to make Coubs more social. “If Coub’s iOS and Android apps prove popular, and the company shows that it can change fast, react to users’ feedback quickly and broaden its global user base rapidly, then it will be a coveted prize for top investors,” Timoshchuk said. Currently, the majority of Coub’s users are from Russia and Eastern Europe. The company’s founders said that it has recently seen a significant surge in usage from Hungary and Japan. However, the main focus is still on entering the U.S. market as Coub’s owners maintain that when a company can become popular in the U.S., then they will become popular everywhere.